Traditions. The Webster's states that traditions are an inherited, established or customary pattern of thoughts, actions or behaviors. 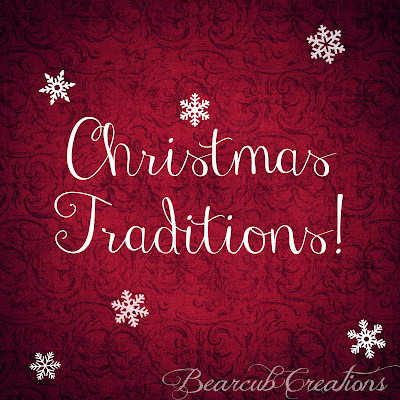 We have so many things that we do in our daily lives as a family that could be called "traditions" but during the holidays, the thought of traditions explodes. I love Christmas and the traditions that come with the season. There are traditions of old, that my family has done since I was little and before I was even born. And there are new traditions that I am creating with my new little family. Traditions build memories and a sense of belonging. I love that certain smells or a certain song can bring about so much joy in the season. Traditions also help us to connect with our heritage and help us to remember loved ones no longer with us. The thing I love most about traditions as a Christian parent is that they help us to share and instill our values to our children. Things like the advent wreath or setting up the nativity are all things that build there values and encourage growth in that area. Over time, traditions change and evolve and while this can be hard, I see it as a good thing. It means your family is growing and changing and that is not something to be sad about. My thought of late is to embrace the change and go with it. I am so excited to share some of my favorite traditions with you and would love to hear what some of your favorite traditions are. I hope you stay tuned over the next two weeks! I'm so excited to share my beloved family traditions. Tomorrow will have to do with cookies....lots and lots of cookies!